Everyday we face opportunities to question our royal identity. The world, the devil, and our feelings will tell us that we’re not of royal blood. We’re told that God could never have a relationship with us because we are a pauper rather than a child of the King. We’re reminded of the bad things we did before we were saved so are now unfit to spend time with God. We’re given the lie that we could never experience the blessings of God in our lives due to our inadequecies. This couldn’t be further from the truth! The moment we turned away from sin and received Jesus as your Lord and Savior, God took out that ugly, sinful nature and replaced it with His purity. The old us stopped existing. It died. Suddenly, we’re not an outsider to God’s family. We’re now God’s child. He has accepted us! Please take the time to study the following verses. 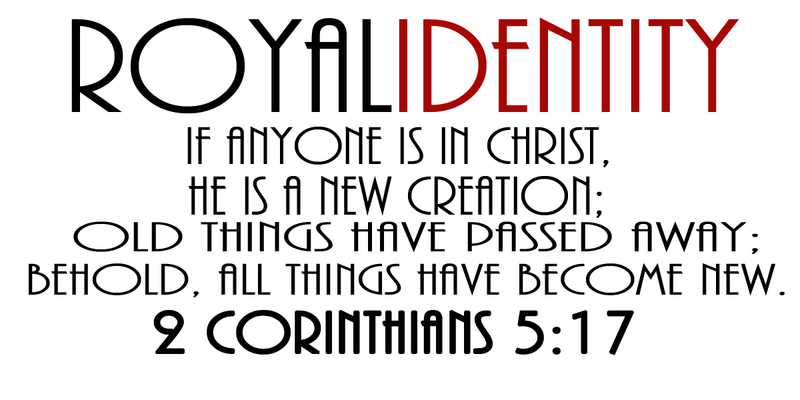 These are the foundation stones of our identity as Christians. If these are deeply rooted in us, no lie or feeling of weakness could ever deceive us! This is who we really are . . . and it’s greater than we could ever imagine!